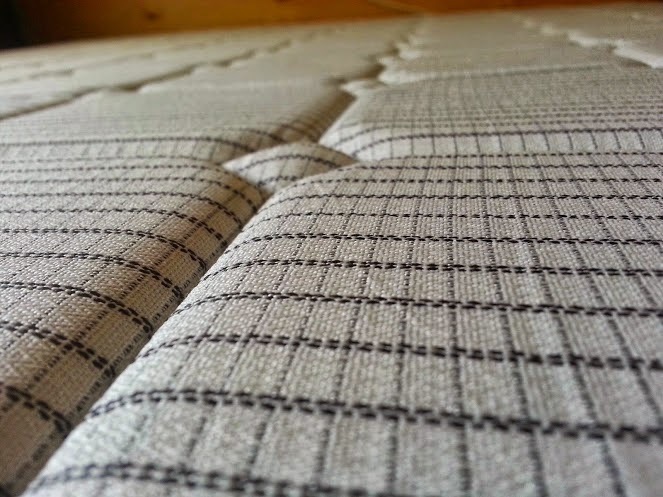 At 9 years old after 3000 night's sleep, 2 pregancies and a few month's bedrest when my partner was recovering from Meningitis our old mattress had worked hard. Life had taken it's toll and despite a 10 year guarantee it's time was pretty much done. We'd looked at memory foam mattresses and then life got in the way, and it wasn't until we realised in September that with the boys not sleeping through, and lying on a surface that wasn't entirely comfortable, we really were getting very little sleep - so we started to research again. Buying a mattress is a very big investment, and sleep very important, so you need to get it right. 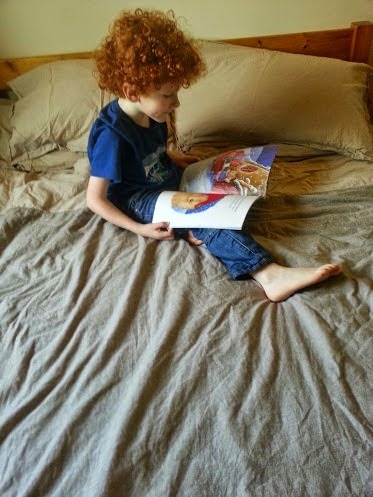 I saw MummyOfTwo's Memory Mattress review and then was over-the-moon when Dormeo gave me the opportunity to review too. 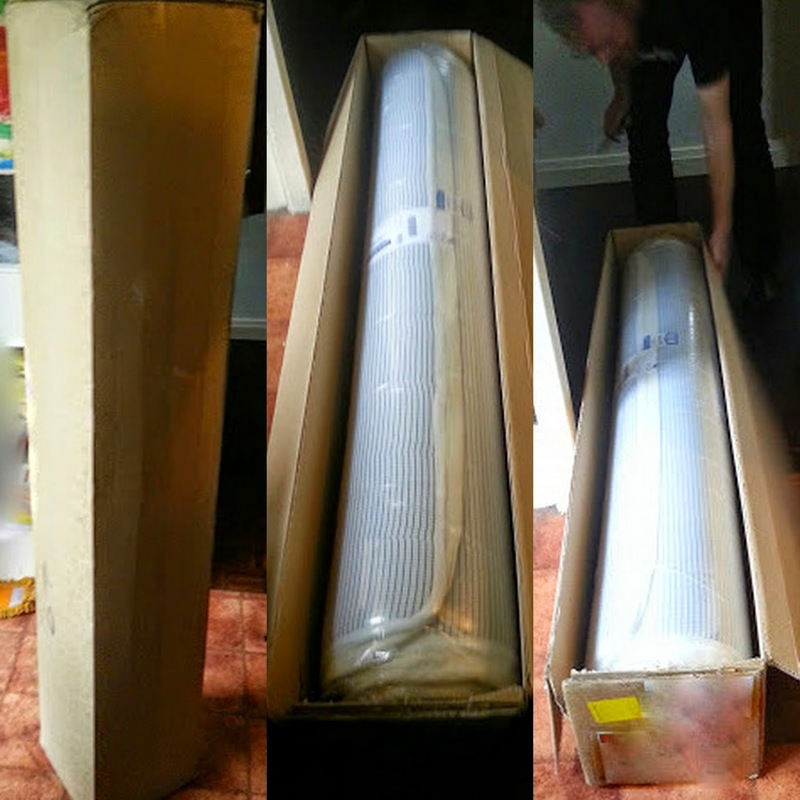 I knew it was going to be delivered rolled up, but when the mattress arrived I could barely believe it was in there! The box was tiny. It's brilliant for the environment and saves everyone money, as it takes up so much less space and therefore less lorries are on the road. 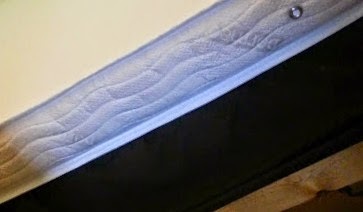 As soon as you undo the plastic the mattress pops straight - fortunately quite gently - and then it starts to reinflate to size. The included instructions say you have to leave it at least 4 hours, but as luck would have it, we were off to London for our long weekend, so it actually had 3 days to spring into shape sitting upside down on top of our old mattress. After 4 hours the mattress looked and felt nice and plump. It isn't as deep as our previous mattress, but we had problems getting fitted sheets that were deep enough, so that was a bonus for me. 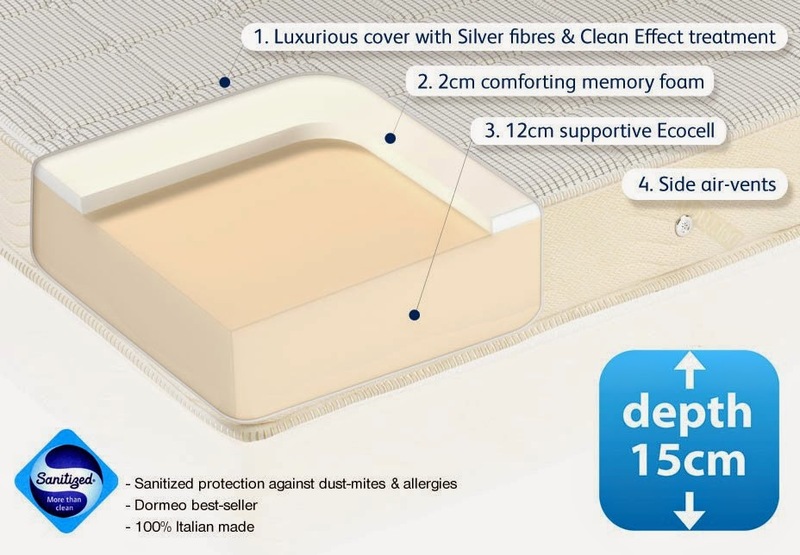 The Memory Mattress is Dormeo's best-seller, with 12cm of Ecocell foam, topped by 2cm of memory foam and then a cover which has silver fibres and a special 'clean effect treatment', which sanitises and protects against dust mites and other allergens. I love it, my partner still isn't convinced. It's barely even comparable to our old mattress and I spent the first 2 weeks being very pleasantly shocked every time I sat on it, because I didn't sink straight down. 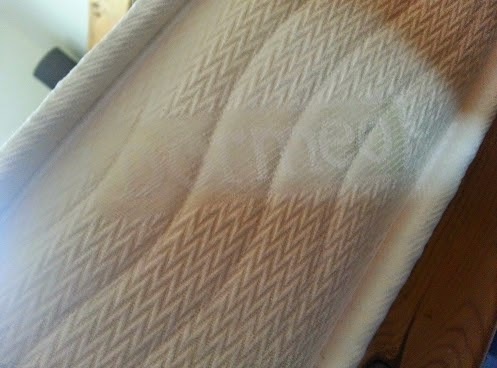 It's quite a firm mattress (Dormeo grade it as a medium) and very different to a sprung mattress. It can be quite hard to get used to a new mattress, which is why Dormeo offer a 60 day money-back guarantee, so that you can properly assess it before you decide how you feel. We ARE definitely sleeping better (when the boys let us), and it's much easier for me to get back to sleep when they've settled again. Previously I would sometimes give in and get up if it was after 5.30am because I simply couldn't face lying back down, now there's no chance, I'm straight back into my bed. The Dormeo Memory Mattress is available in the 4 main standard UK sizes, starting at £299.99 for a single bed, with free UK delivery and a free Memosan Anatomic Pillow worth £39.99. All mattresses have a 60 day money back guaranteee and a 15 year warranty. 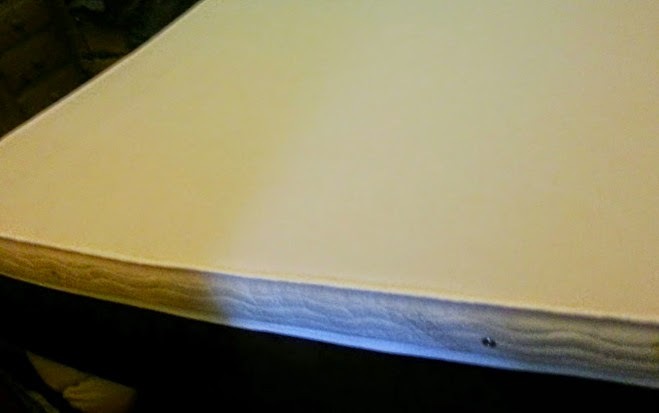 We were sent our mattress for review. We have a really thick memory mattress and also have trouble getting sheets to fit properly. This does look great. Really surprised at how small that packaging was. I'm so pleased this has helped you have a better night's sleep. I am still loving ours! I love it, it's just got a thin layer of memory foam on top, but it's really nice to lie on. Very different to a sprung mattress! @Donna. We just read your comment and would like to help. If it helps you in your mattress search I'd like to offer you a unique discount code offering an extra 10% off any mattress in our web-store at http://dormeo.co.uk. Just use code D10MATT at checkout. Hope this helps and if you have any questions please don't hesitate to ask! Thanks - and hope you don't mind me commenting here! Emma, Dormeo. It's good one. But i have a lot problems more than how to sleep better. I have problem about waking up too. It's feel tired every morning. Memory foam is always great option for good night's sleep. Thanks for sharing your nice review.